During the 21st century organizations will undergo a level of radical and global change that has rarely been seen before. This transformation will come as a result of the environmental, social and economic challenges that now confront organisations in all their activities. But are our understandings and theories of change up to the task of meeting these challenges? 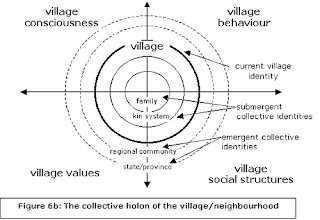 Will we be able to develop sustaining visions of how organizations might contribute to the long-term viability of our interdependent global communities? Organizational Transformation for Sustainability: An Integral Metatheory offers some innovative answers to the big questions involved in organizational sustainability and the radical changes that organizations will need to undergo as we move into the third millennium. This new approach comes from the emerging field of integral metatheory. 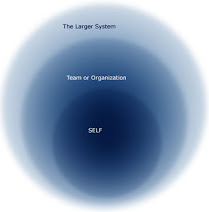 Edwards shows how a "Big Picture" view of organisational transformation can contribute to our understanding of, and search for, organisational sustainability. 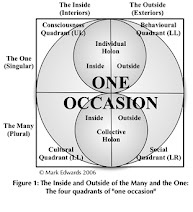 There are four key themes to the book: i) the need for integrative metatheories for organisational change; ii) the development of a general research method for building metatheory; iii) the description of an integral metatheory for organisational sustainability; and iv) the discussion of the implications of this metatheory for organisational change and social policy regarding sustainability. This book brings a unique and important orienting perspective to these issues. Congratulations Mark. I look forward to reading your work. The best to you and all that you do.